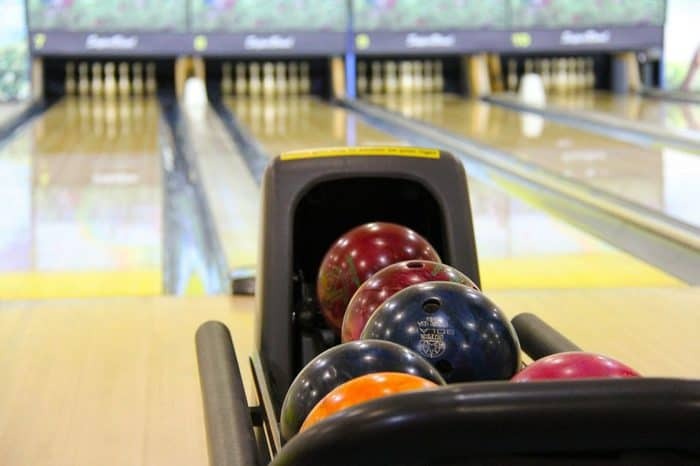 Thank you to Bowlero for partnering with me on this post. 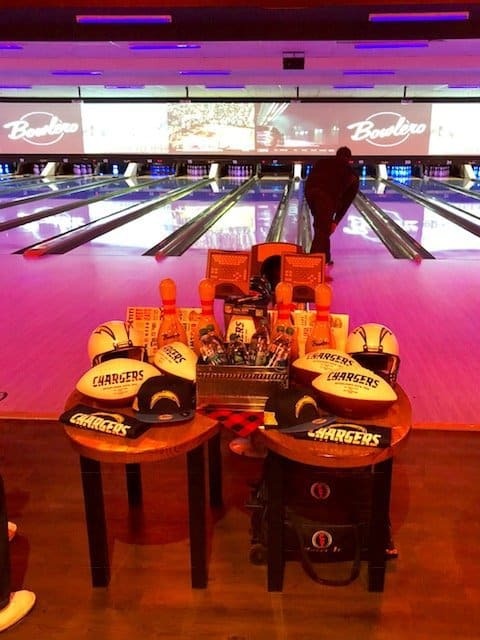 Last weekend, my husband and I had the privilege of attending the grand opening event for Bowlero Bowling Alley and Sports Bar in Chula Vista, California. We originally planned to make it a family event, but winter germs and fussy babies changed our tune. 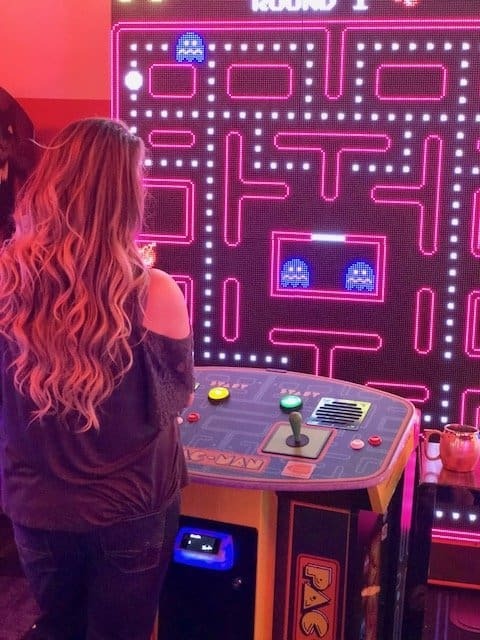 We left Emma and Tommy at home with their grandma, and we turned this into our weekly date night! 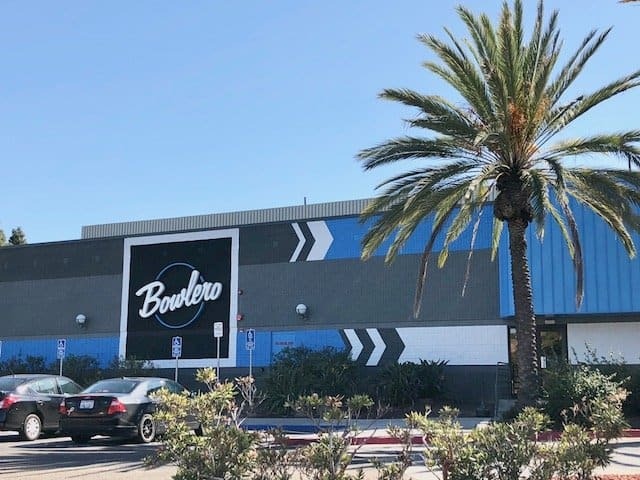 Bowlero opened it’s doors in Chula Vista on February 24th, 2018. 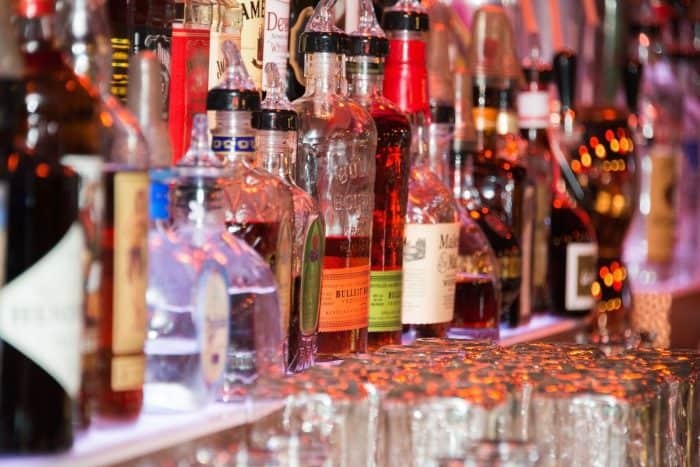 The grand opening was such an exciting party to attend! 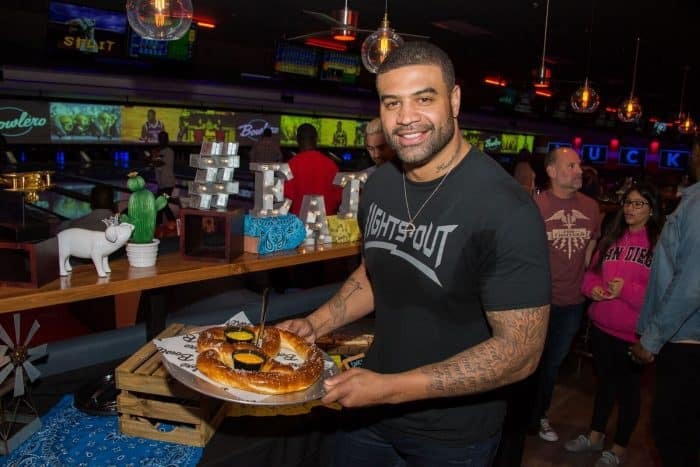 Former NFL player Shawne Merriman hosted the event, and he happens to be one of my husband’s all-time favorite football players. 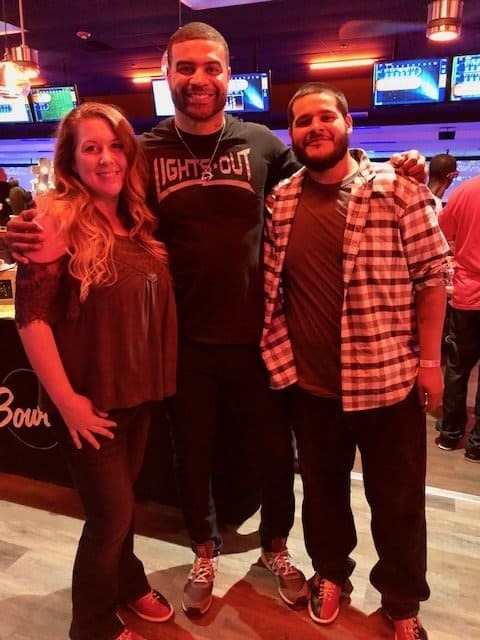 He’s also pretty much the nicest guy ever, and spent hours signing football gear and bowling with adorable little kids. 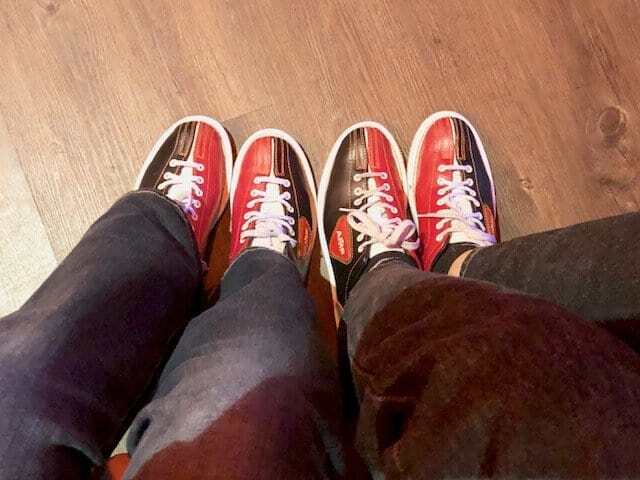 I’ve always been a sucker for the bowling scene. 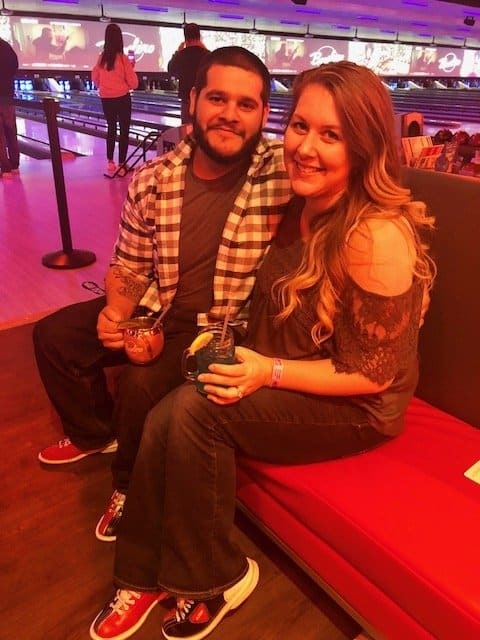 My dad used to take us all the time when we were kids, and my cousin still plays in a bowling league back in our home town. I love the dark lights, the loud music, the shoes…all of it. 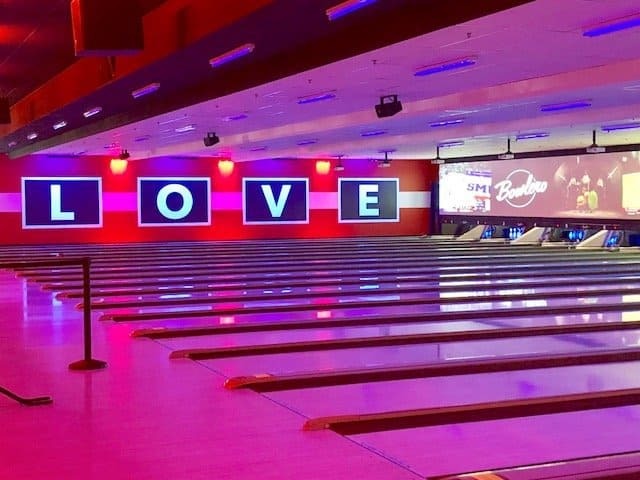 Bowlero has 48 black-light bowling lanes, comfortable lounge seating, a sports bar with flat screens, billiards, an arcade…and, you guessed it…clean bathrooms! You know how I am with my bathrooms. I don’t review any business that doesn’t have clean bathrooms. It’s kind of a big deal to me. 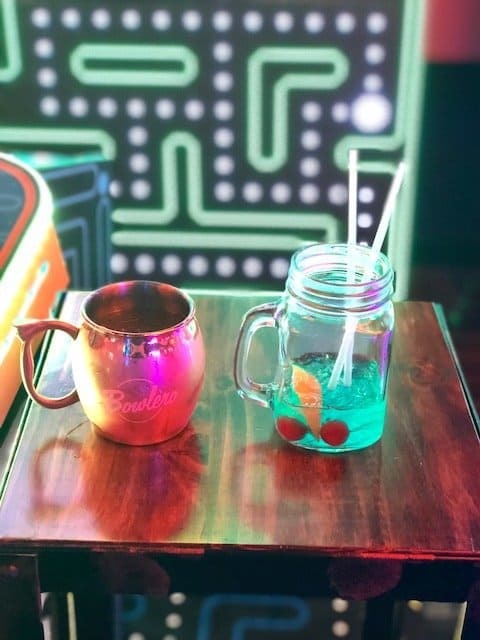 Bowling and billiards and arcade games are great and all, but we all know that food and drinks make the place what it is. 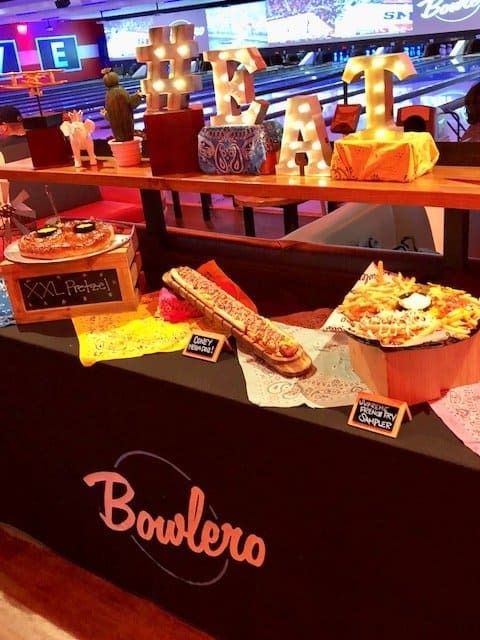 Bowlero is famous for their oversize shareables. 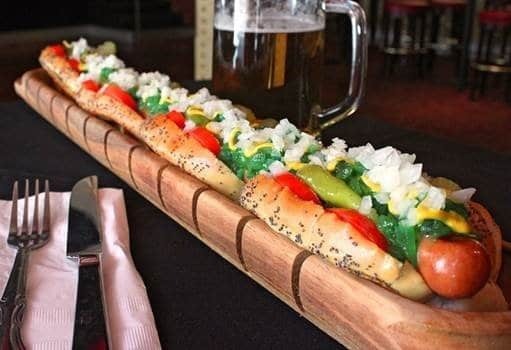 They have a 123-ounce fishbowl cocktail called the Dunk Tank, Nine-Napkin Nachos, and a 2-foot Coney dog. I ordered the Boozy Blue Long Island and Tony ordered the Old School Mule, which were both delicious. If you enjoyed this article, please give it a share on social media! This article on building your own blogging business. This article on making money with affiliate marketing.